Miguel, is it a PSP or PSP Go? I would think that you either burned a fuse or an IC most like so its a fuse. Can you post a pic of where you touched the wire and it grounded out? That link is for the old PSP versions. 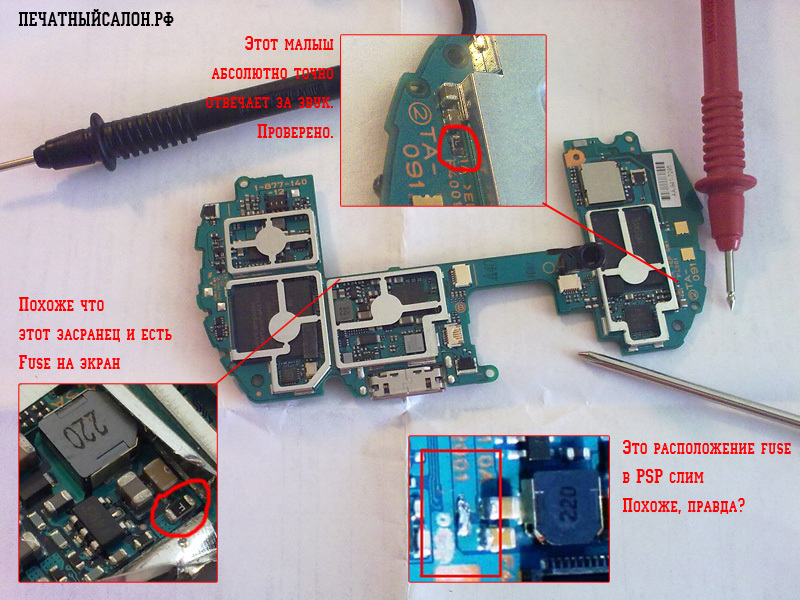 ^^ Fuses for PSP GO. The one on the right is for Audio - so the one *under* the metal shielding may well be your power Fuse. I would suggest testing with a multimeter to confirm. I have ordered some DS F1/F2 power fuses to see if they are compatable but i dont believe they are rated the same. Yes you are right ;-) but since we still do not know which PSP Miguel Saavedra is talking about, now he has both and can take his pick. Good job.